We recently held our island’s annual fundraising event. Starting sometime in the early spring, I designed a menu that would happily feed most. Any one dish could be omitted, and the rest would still be a great meal. This was the easiest and most economical way to feed over 130 people regardless of most food allergies or concerns. As well, we have very limited cold storage, and as this was being held in early August, that was a key concern for the amount of food we’d be preparing. What I came up with was a menu that included five different salads, all to be served family style to tables of eight. Each was made of components that could be mixed just before service. As well as the salads, we served small appetizer plates, BBQ chicken with fresh peach salsa, fresh rolls, and Peach-Blueberry Crisp with ice cream. It was a great meal, with a lovely mix of textures, colours and flavours. I have promised to post the recipes, so here’s the first of five. 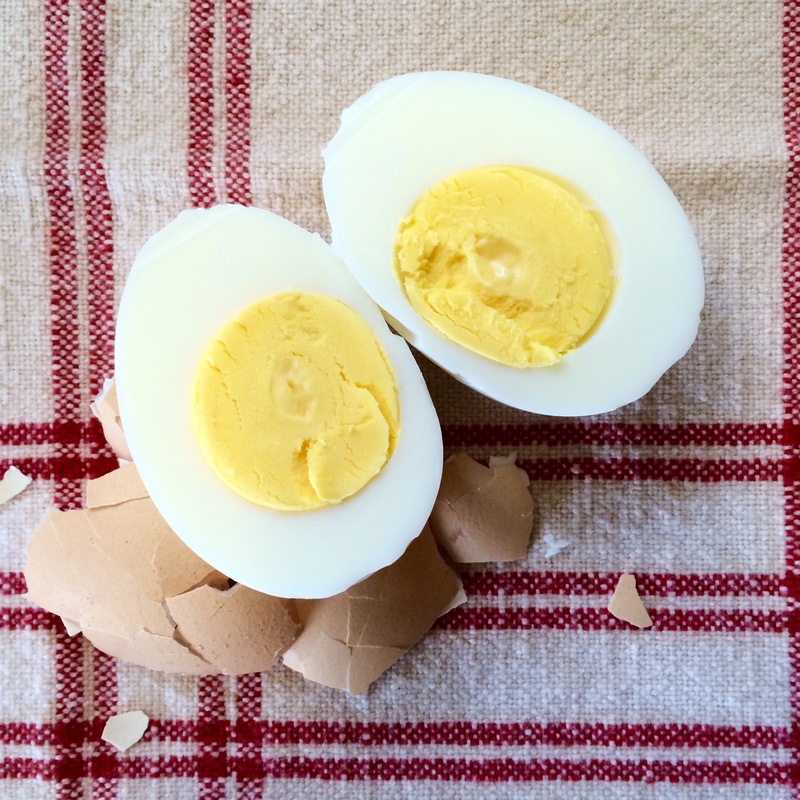 Hard-boil the egg by putting it in a small pan of cool water, and bringing to a gentle boil. Reduce the heat to a simmer, and cook for 11-12 minutes. 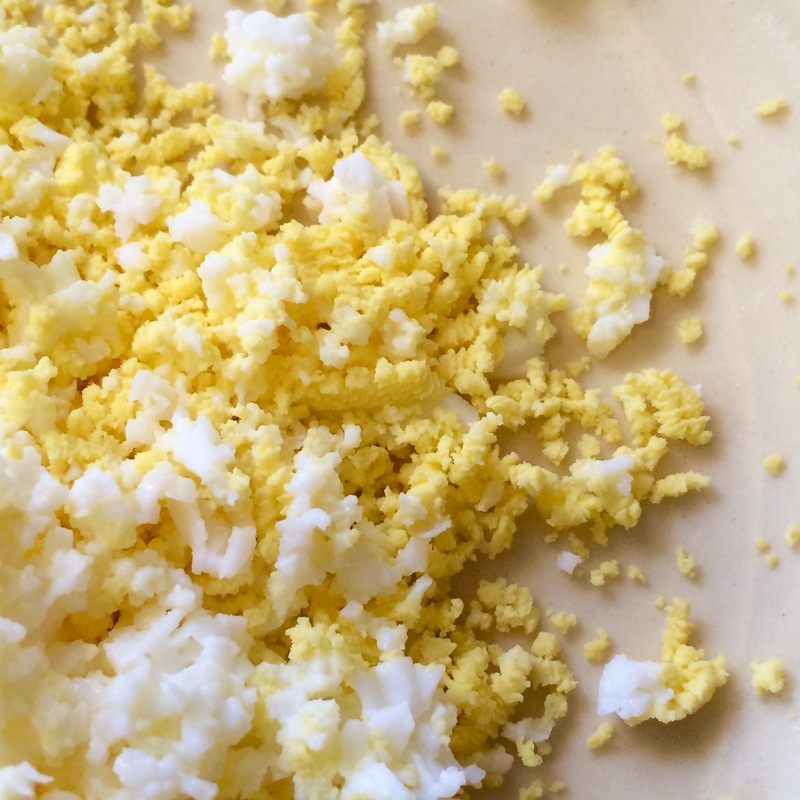 Remove the egg, and put it in a bowl of cold water to cool. Once cool, peel & halve. 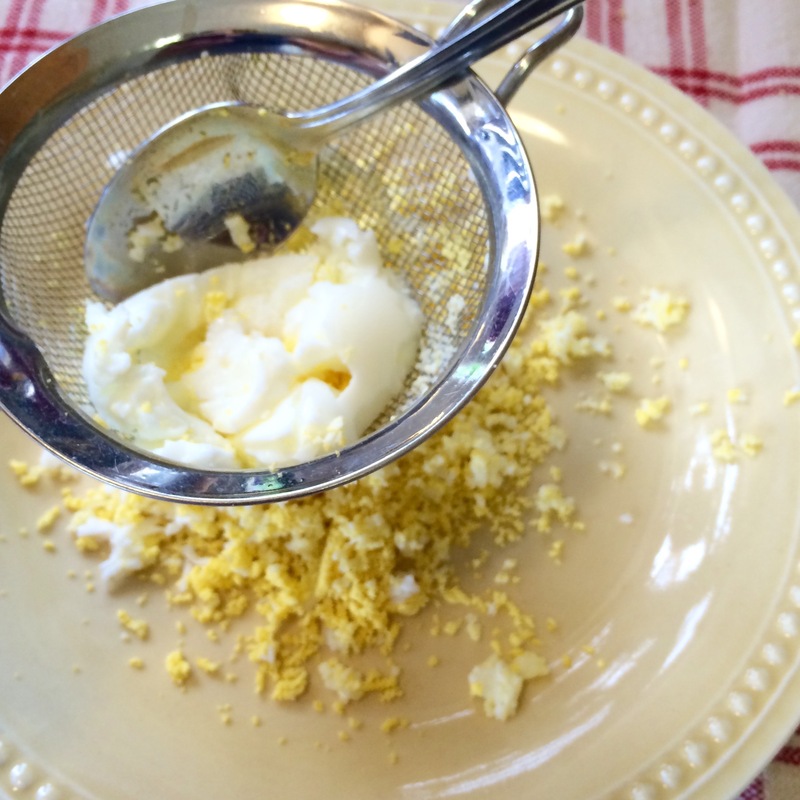 Using the back of a small spoon, push the halves of the egg, one at a time, through a medium sieve to a plate. Keep working until all of the egg has gone through the sieve. Cover the sieved egg loosely with plastic wrap, chill and reserve for topping. 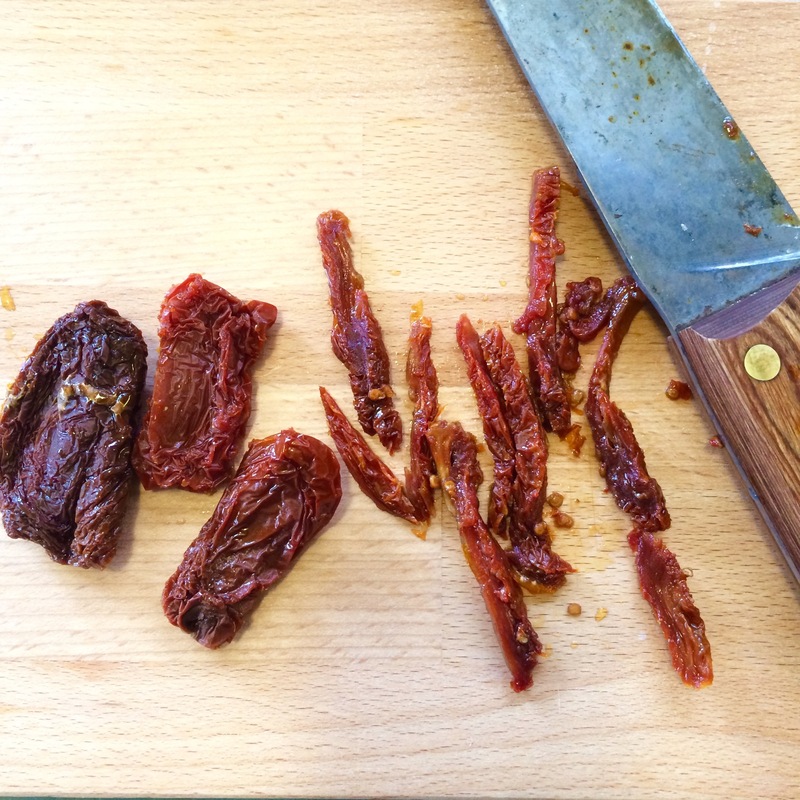 If using dried tomatoes, simply blanch them in boiling water for 2-3 minutes, drain and cool. Slice the tomatoes into long thin strips, and reserve. Put a 3-litre pot of salted water on to boil. Once the water is boiling, add in the beans, and cook for 5-6 minutes until just cooked. 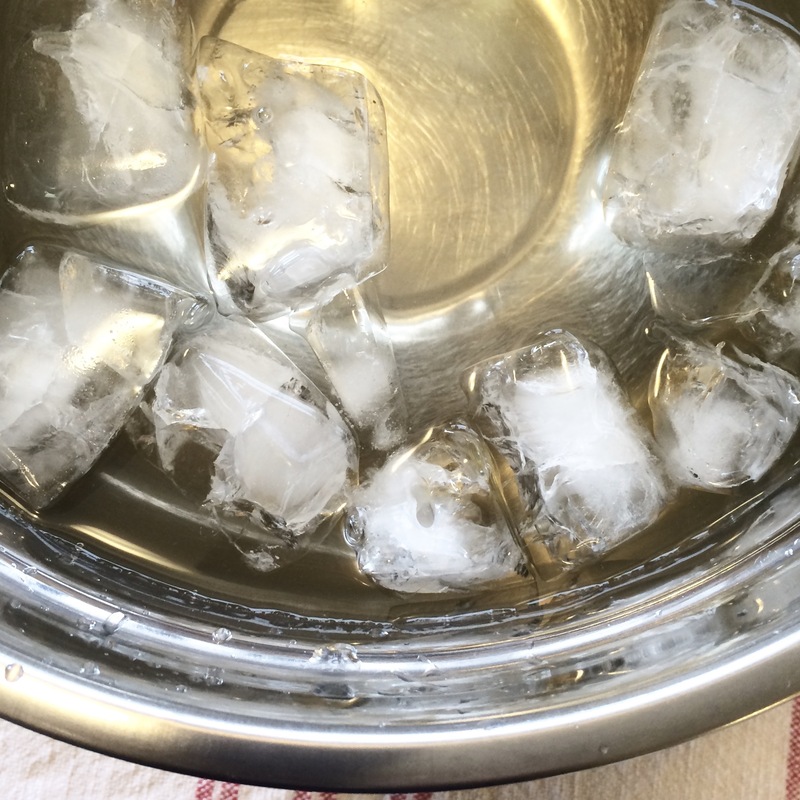 While they’re cooking fill a large bowl with cold water, and add in a tray of ice. 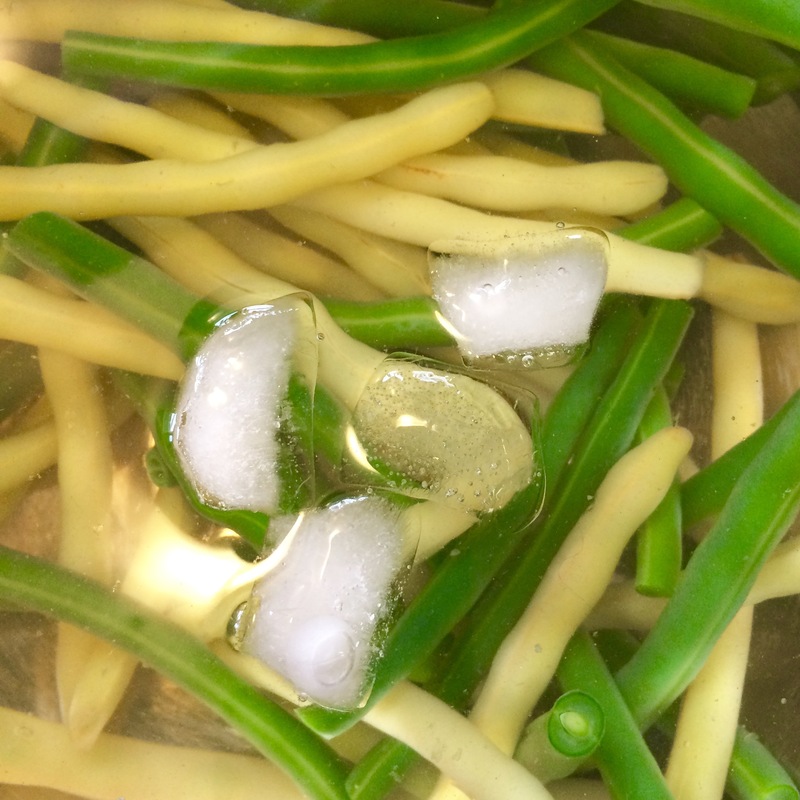 When the beans are ready, drain them, and then add them into the ice water to cool. 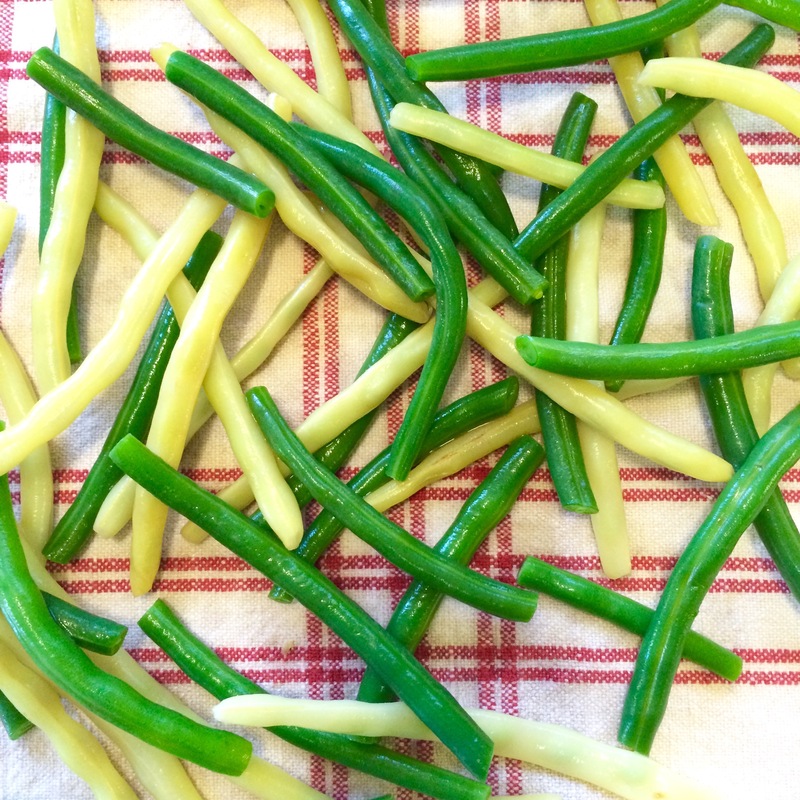 When cooled, lay them out on a clean tea towel to air dry, for 20-30 minutes. Using the bowl that you used for the ice water (but drained and wiped dry), make the simple dressing. Add in the vinegar, sugar, oil, thyme, dry mustard, salt & pepper. Whisk thoroughly. 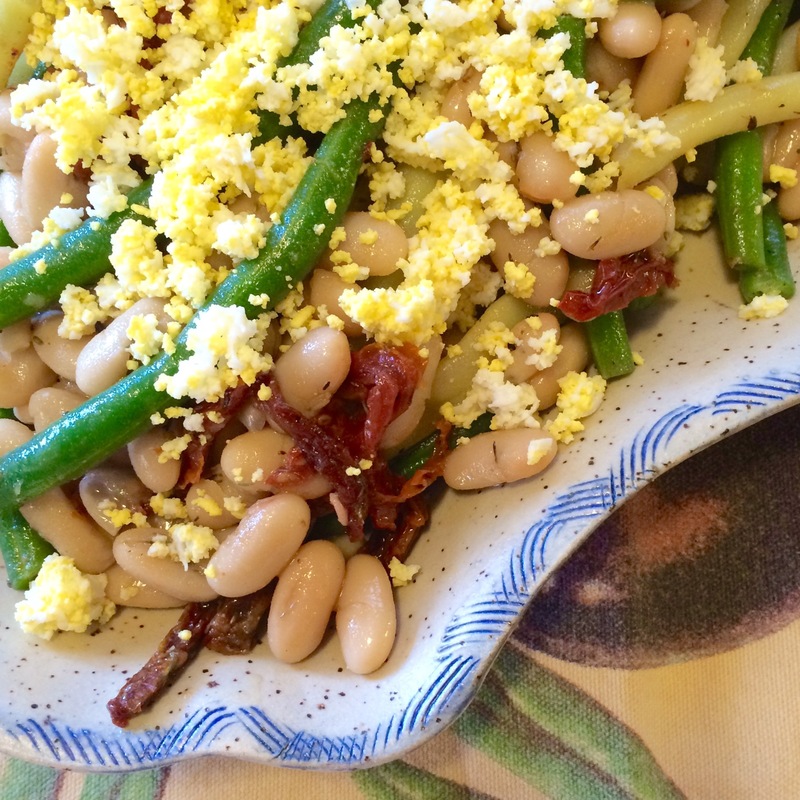 Add in the cannellini beans and the sliced sundried tomatoes. Toss well. 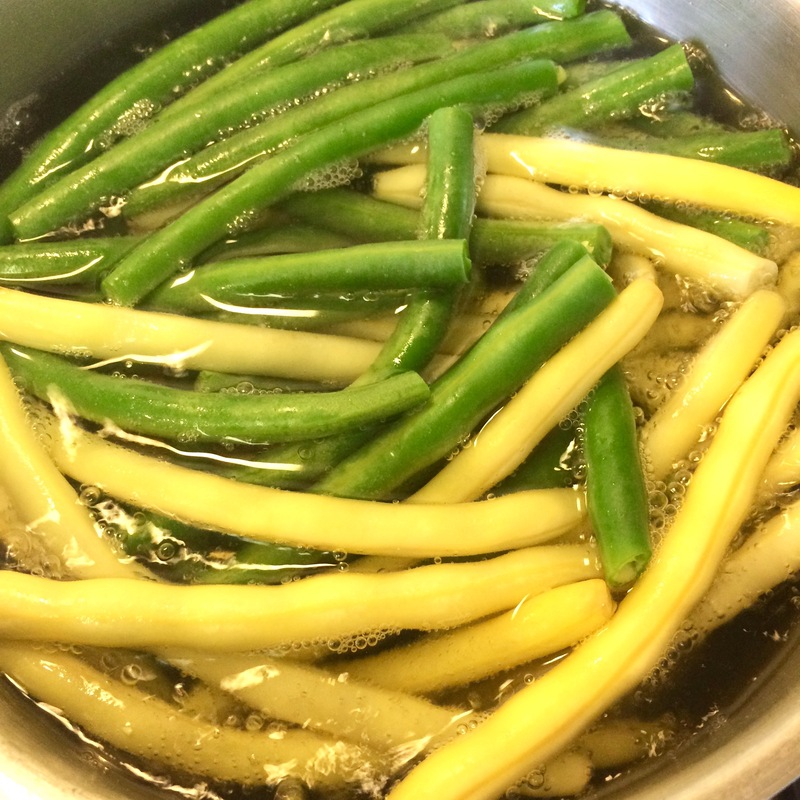 Add in the green & wax beans when they are dry to the touch. 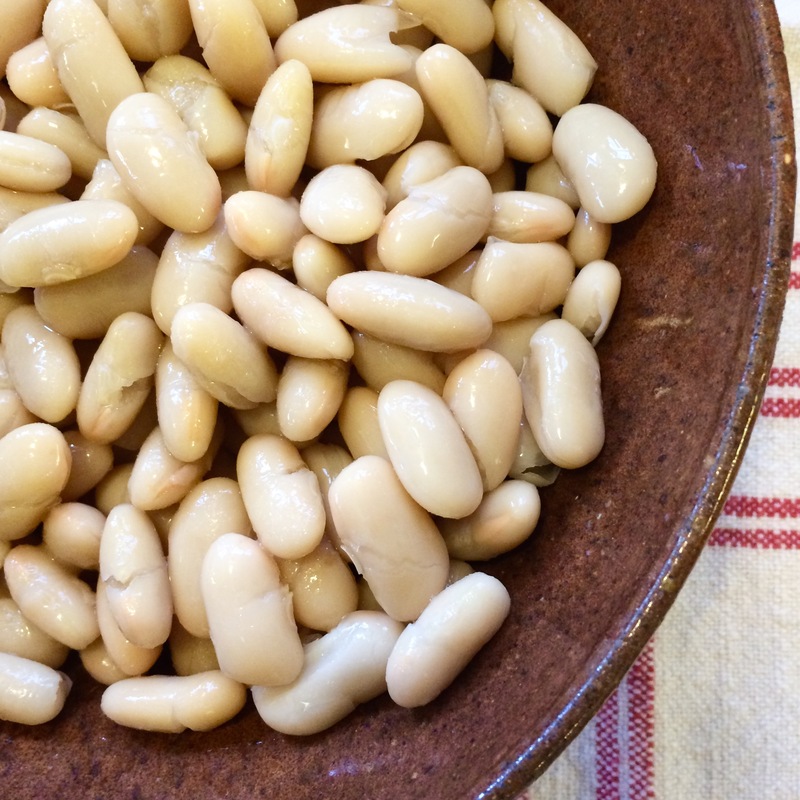 Toss gently, and let rest for up to an hour for the beans to marinate. 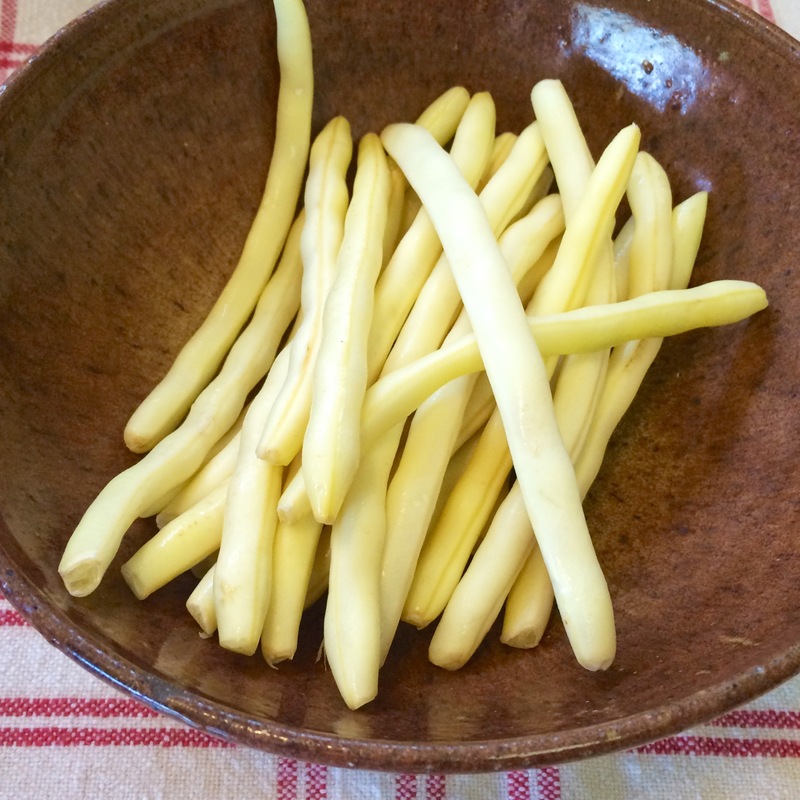 To serve: arrange the salad on a platter, and scatter with the sieved egg. You could also crack some pepper over the top if desired. To do ahead, simply do three components separately until an hour before service. Sieve the egg, up to 24 hours ahead. 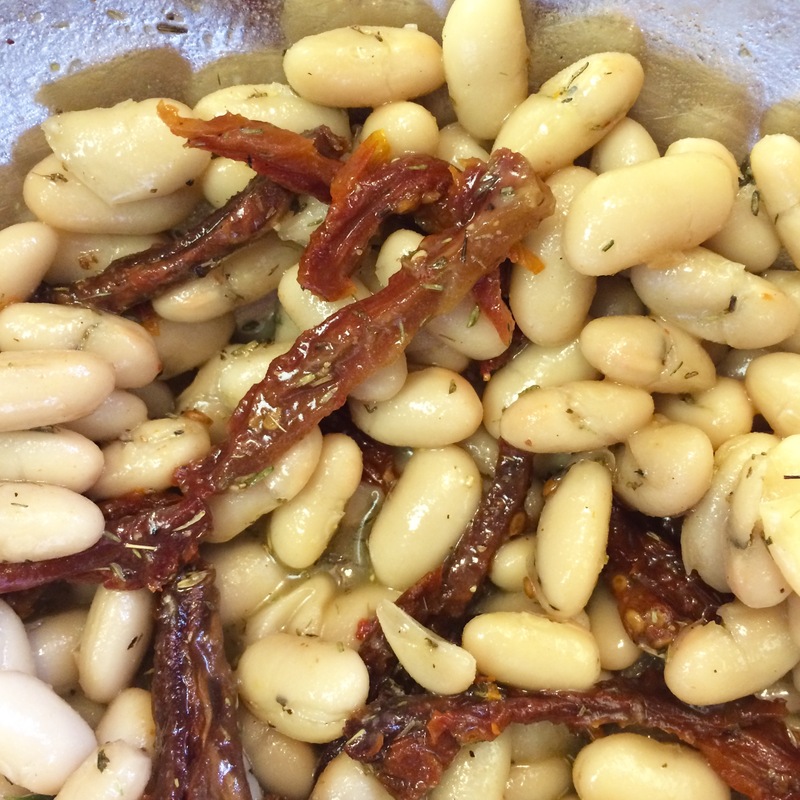 Prepare the cannellini bean, sundried tomato & dressing mixture up to 24 hours ahead. Cover and chill. Prepare the beans up to 8 hours ahead. 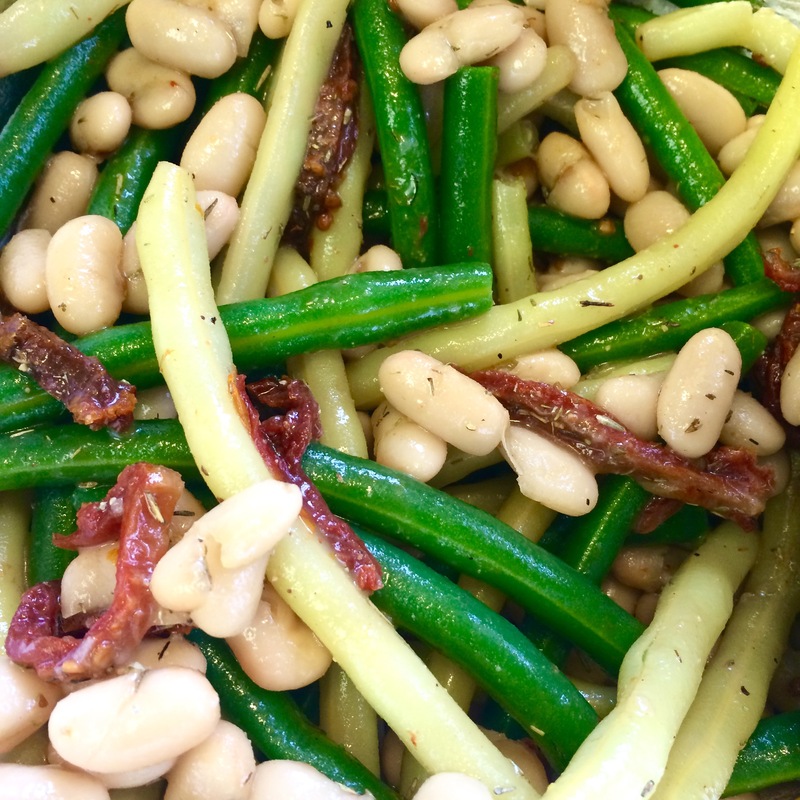 One hour before serving, mix the white bean mixture and green & wax beans together, and leave at room temperature. 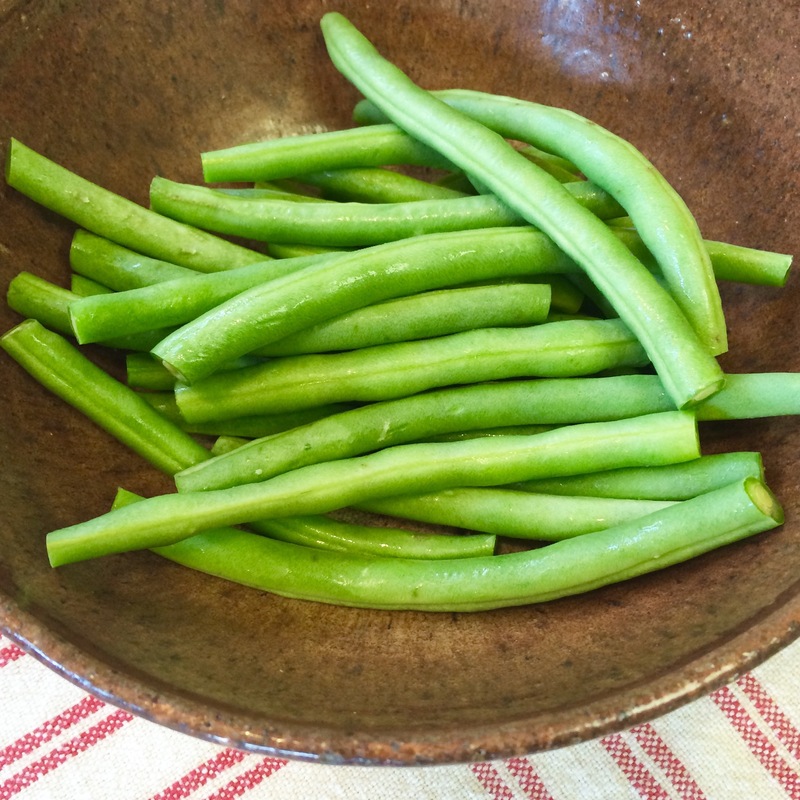 To serve: arrange the salad on a platter, and scatter with the sieved egg.